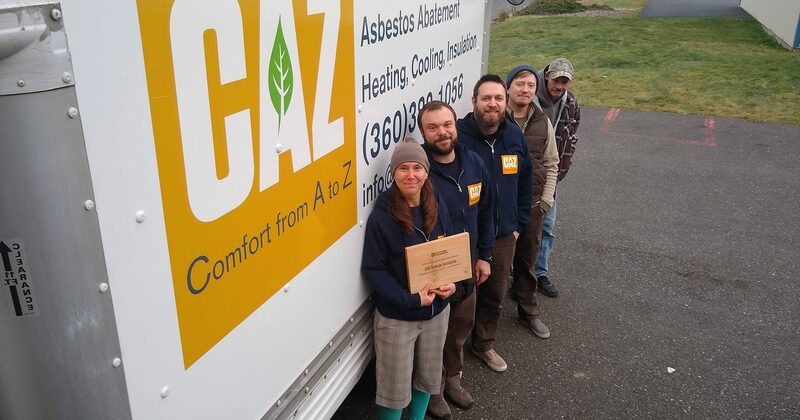 Since 2010, CAZ has provided energy efficiency services and assessments to over 1300 clients in Whatcom, Skagit, Island, and San Juan Counties! They help with ductless heat pumps, attic, wall, floor and duct insulation, air and duct sealing, home ventilation, energy assessments, and thermal imaging; all in the name of saving you energy, money, and comfort. With over 20 full-time employees, CAZ works hard to provide meaningful employment. Their employees enjoy some of the highest pay in the industry and receive great benefits such as health insurance, five weeks of paid time off, 4-day work weeks, and a respectful, professional workplace. They are also incredible community partners and collaborate extensively with fellow businesses, nonprofits, and agencies like the Community Energy Challenge, Opportunity Council, Kulshan Community Land Trust; and many of our local contractors like Chuckanut Builders and Moceri Construction. CAZ is helping our community reduce energy consumption, mitigate climate change, and create dozens of top-notch local jobs. We are so lucky to have them!